We were walking, the duck and I, on our way up the hill to work on campus. 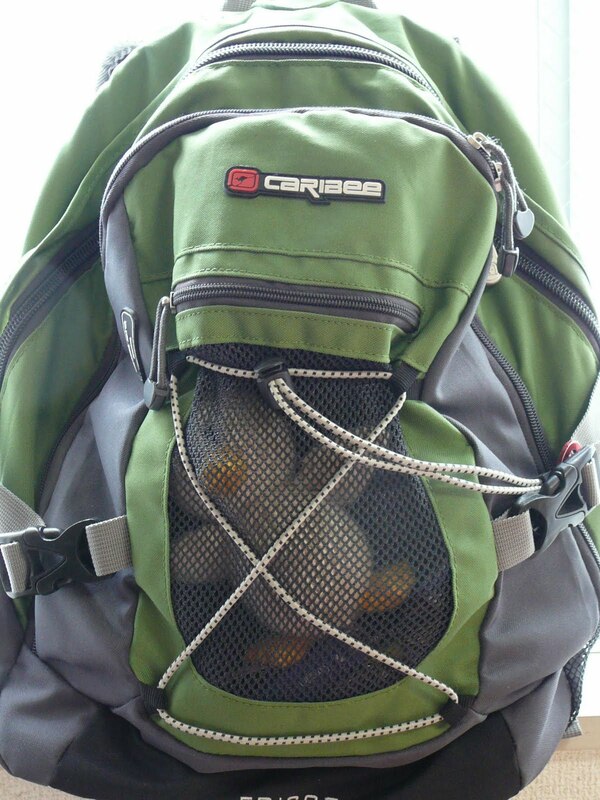 The duck was riding, as he always does, in the mesh outer pocket of my backpack, the source of occasional stares, giggles, and some interesting conversations. If you want to break the ice in a strange place, I heartily recommend the “duck in pocket” strategy. We were walking up the hill when we stopped in our (my) tracks. There were beady eyes upon us. Two pairs. It looks like the duck is going to have to waddle aside for a time. 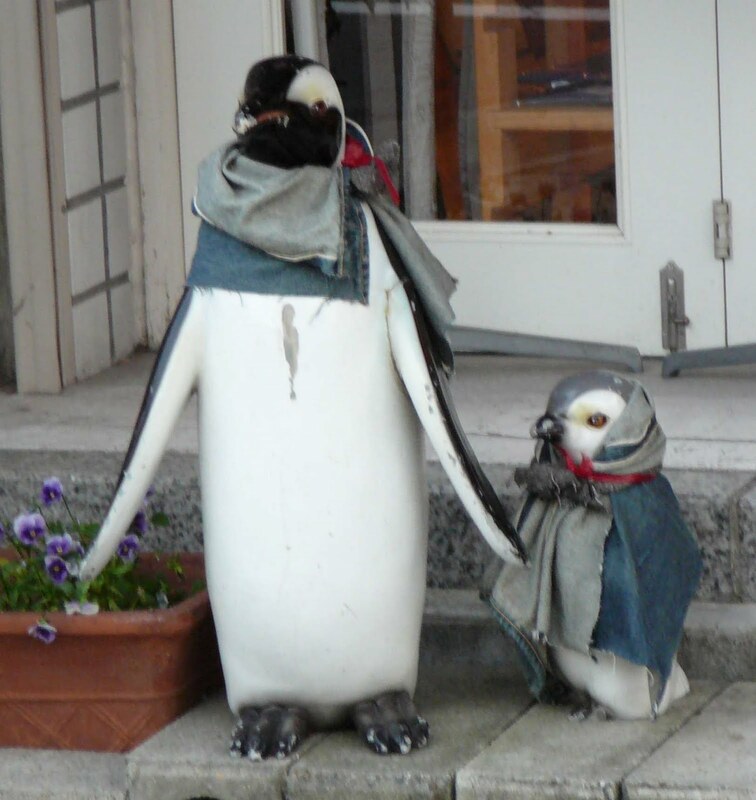 It looks like the penguins are coming. 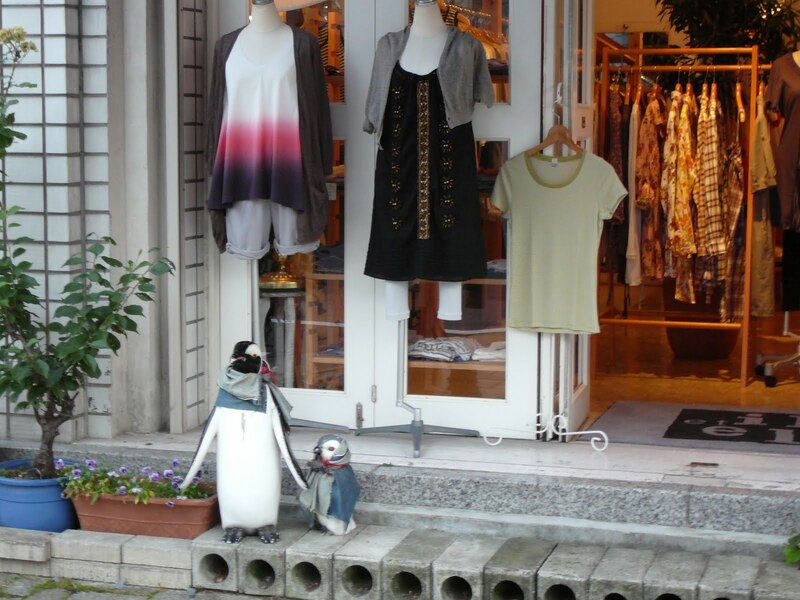 This entry was posted in Picture Books, The Truth About Penguins and tagged all things duckish, Asialink, Japan, shiny new book on June 23, 2010 by Meg McKinlay.